Holden will be asking for a little more green to step into the quickest, most advanced Commodore the brand has ever built. Car Advice has received the scoop on pricing for the 2016 VF Holden Commodore Series II, as Holden failed to mention the information during the live reveal. Starting at the bottom with the 2016 Series II Evoke trim, rejoice. The trim level sees no price increase, but is still powered by the same 3.0-liter V6 engine, commanding $35,490 AUD ($25,171 USD) for the sedan and $37,490 AUD ($26,589 USD) for the sportwagon. Bumping up to the SV6 trim also sees a familiar 3.6-liter V6 engine, but prices climb $500 AUD over the outgoing VF Series I, to $37,290 AUD ($26,448 USD) for the sedan and $41,990 AUD ($29,781 USD) for the Sportwagon. But, it’s the V8-powered Commodores that are the real news, since Holden expects an extremely high demand for this final-thoroughbred Commodore. Stepping into the SS trim, which nets you the new-to-Oz LS3 6.2-liter V8 engine, will set you back $44,490 AUD ($31,554 USD) when equipping the car with the (essential) six-speed manual transmission. 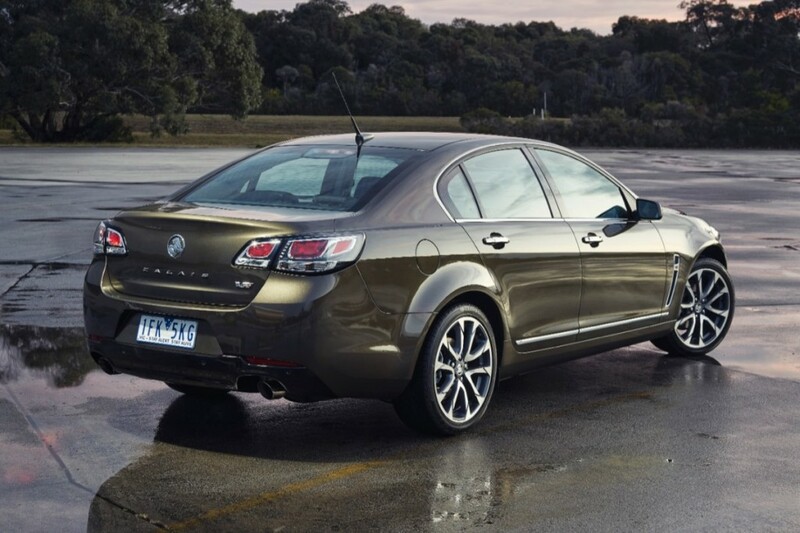 The automatic gearbox asks a $2,200 AUD premium. The automatic-only sportwagon sits at $48,690 AUD ($34,533 USD). Included with the SS trim is Holden’s new bi-modal exhaust, tuned exclusively to the LS3 V8 for the optimal tone. A mechanical sound resonator also feeds noise into the cabin for a greater aural experience. Brembo brakes at all four wheels may be ticked as an option on 2016 VF Series II SS models for a surprisingly reasonable $350 AUD. 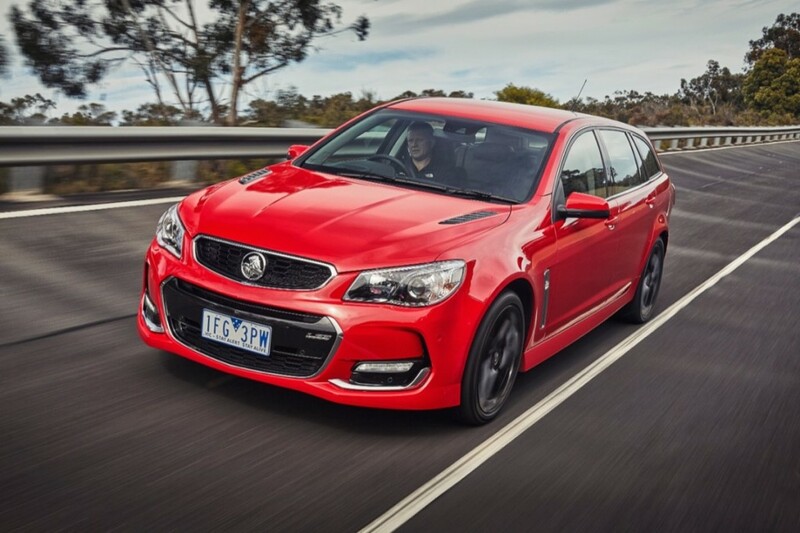 Finally, the king of the standard Holden Commodore range, the 2016 Series II SSV Redline has been priced at $47,990 AUD ($34,037 USD), which includes standard Brembo brakes, with a $1,500 AUD option for 20-inch forged-alloy wheels. If you must select the automatic transmission, that will be another $2,200 AUD. SSV Redline Sportwagons command a price of $52,190 AUD ($37,016 USD). Rounding out the entire Commodore range are the Commodore Ute, Calais and Calais V.
The 2016 VFII Ute begins at $33,490 AUD ($23,752 USD) for the SV6 variant, and climbs to $50,490 AUD ($35,810 USD) for the SSV Redline trim. Calais and Calais V models see $500 AUD price increases to $41,290 AUD ($29,285 USD) for V6-powered cars, but if the LS3 6.2-liter tickles your fancy, that will be $1,500 AUD, totaling in at $55,490 AUD ($39,356 USD). Calais Sportwagons command $43,290 AUD ($30,803 USD). A limited-slip differential and performance brakes are new options to the Calais trim, but the car now comes standard with front heated seats with memory, an 8-way power passenger seat and new 18-inch alloy wheels. I like the front end. Not feeling the tail lights; won’t be surprised if they get swapped out by owners (assuming the shapes haven’t been changed). A bit different to the us market, Holden goes from reveal to showroom in around a month, people in the us market are c&[email protected] teased for close to a year before stock is available after reveal. And, US gets nothing as cool as these Commodores, wagons and Utes! Stinks!